Take a look at the portraits on your walls, the photos in that shoebox, or the digital images stored on your computer. How old are they? Is you newborn in middle school, do you have children that have never had their photos taken? Is the last portrait that you have of you and your husband from your wedding day? Life gets busy, and we end up spending our days running around doing the things that we HAVE to do. Some days, we feel like we are on autopilot, reliving "Groundhog Day" over and over and over again. Often, it's the things that matter the most that get pushed to the side while we concentrate on PTA meetings and carpool. Why not put some time on your calendar right now (yes...now) to schedule a family portrait session? 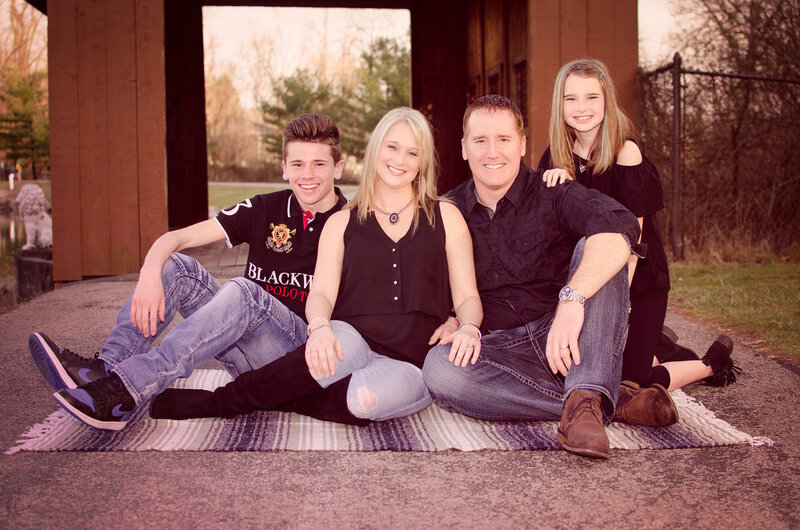 Our studio makes it easy to get beautiful images of your family and we make it fun too! We will help you every step of the way from booking, selecting your family's wardrobe, and ordering your artwork. All you have to do is show up on the day of your session and enjoy the time with your family knowing that we have it all under control. Let me help you freeze time just for a little while so that you can enjoy your family as they are right now before days turn into months and months into years and all you have to look back on are those images from many many moons ago.